The breathtaking views of the Waterfront are spectacular out of your Luxury Condo, featuring 2 Master Suites with floor to ceiling windows, 2 more bedrooms, and complete baths. 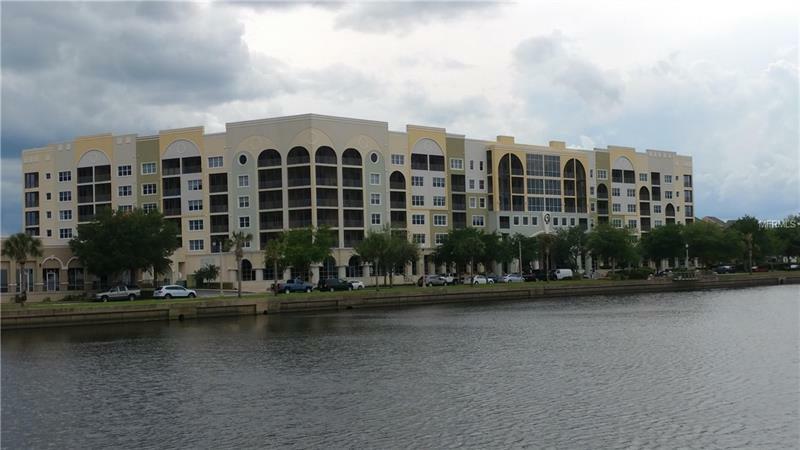 Over 58 feet of marvelous views of St Johns River And Lake Monroe. Blow away your friends, family, and clients as they walk in the front door of your home and are immediately amazed at the open concept floor plan taken advantage of every viewpoint of the waterfront. Location can not be beaten, you are walking distance to the Marina, Restaurants, Shops, Park, Playground and Remarkable Health Centers. The front and back lanais are both screened in to keep the bugs out while you are entertaining. The kitchen is a cooks dream with Stainless steel appliances, an island, granite countertops, raised panel cabinets, plenty of storage and upgraded tile. This home has a secured entrance, close to the elevator, as garage parking available. The home has Kat 5 phone and internet, cable ready. The community area offers a workout center, full kitchen, pool table, reading room, sitting area and movie theater seating in the TV area. A great place to host a party or just relax. Let's make an appointment today to see your new home.